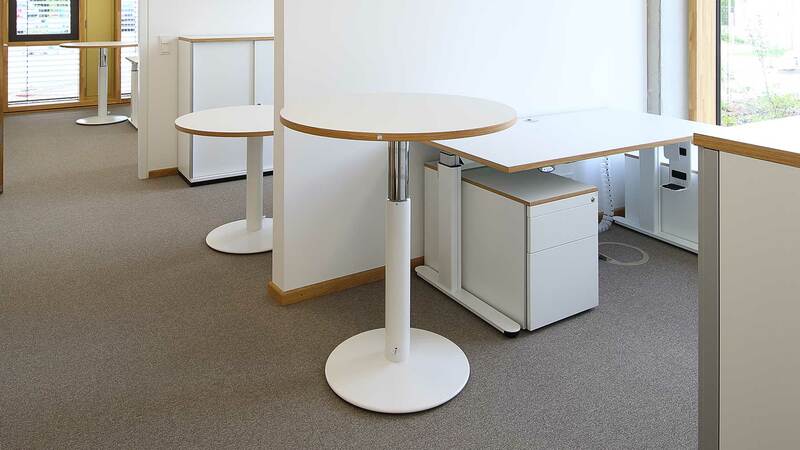 Side tables available in various shapes and sizes are a versatile and practical addition for arranging your workplace. 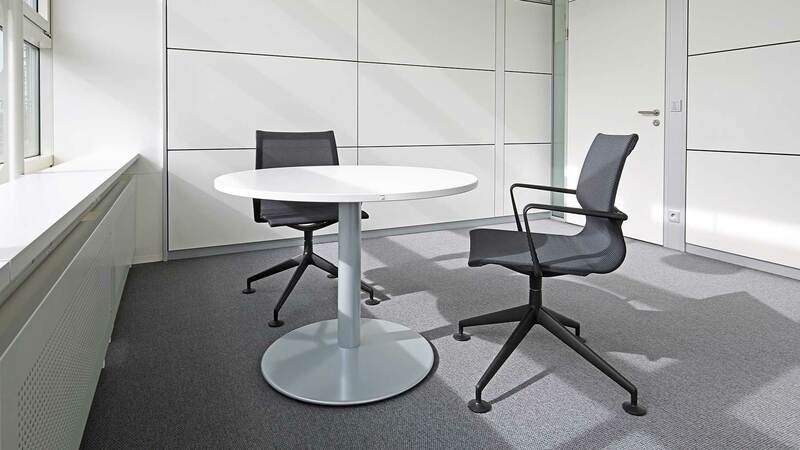 They are not only ideally suited for short meetings of small groups, but the height-adjustable version (680 – 1120 mm) provides a simple possibility for working in an upright position at any time during the day. Side tables can also be supplied as standing tables with fixed heights.